We know that dating can be hard, tiring, and disappointing. That’s why online dating sites can be a great solution to get you out of a relationships and love style rut. More and more people are finding these sites to be successful in helping them find happy, fulfilling relationships. In fact, a study found that one-third of U.S. marriages today started with online dating. Whether you’re on OkCupid, Match.com, eHarmony, or JDate, see what love advice Cupid has to get you noticed on dating sites! 1. Make your profile photo stand out: The photo of you on your profile is the first thing that people see. While we’d like to believe that looks aren’t everything with relationships and love, first impressions can be important. In your photo, you should look your best, have a genuine smile, and be alone in the photo (no pets or other people). While some may be tempted to Photoshop or otherwise alter their appearance, this can lead to an awkward first date if you look different than what your romantic interest expected you to look like! 2. Be specific in your wording: There are thousands of dating site profiles out there, and you want to be unique and eye-catching when someone takes the time to read your profile. When you answer questions or write your profile, don’t use overdone words like “fun-loving” or “outgoing.” Instead, give examples to demonstrate your best qualities. You’re not just “fun-loving,” you travel around your state to find and ride the tallest and scariest roller coasters. Dating advice: if you’re specific about what you like to do, someone on the site has a better idea of the kind of date they should ask you out on. 3. Update your profile often: If someone were to come across your profile and saw outdated photos and information about yourself, they might assume that you’re not active on the site and won’t bother pursuing you. Consistently add the new books you’ve read, the movies you’ve seen, and the concerts you’ve been to. Sometimes it may seem difficult or useless to be constantly updating your profile if you are not finding a lot of success or getting asked out on dates, but our love advice is to never give up on finding love! Related Link: Online Dating: Are Pictures Worth 1000 Words? 4. Proofread, proofread, proofread: Did you know that 43% of online daters think poor grammar is a major turn-off? Don’t let something as silly as using the incorrect form of “your” hurt your chances of finding relationships and love! If you’re not a grammar fiend, have a friend who is look over your profile for you and let you know if they see any mistakes. 5. Target your approach: So you’ve made your profile and you’re ready to get active on your dating site. Someone’s profile catches your eye, but before you message them, personalize how you approach them. Don’t just say, “I liked your profile.” Mention something specific, such as, “I also love Indian food and have been dying to try the new restaurant downtown!” Everyone wants to feel special and noticed, so make them feel that way. Our most important dating advice: put yourself out there! Even if you’re used to other people making the first move, you never know what good could come out of one message. 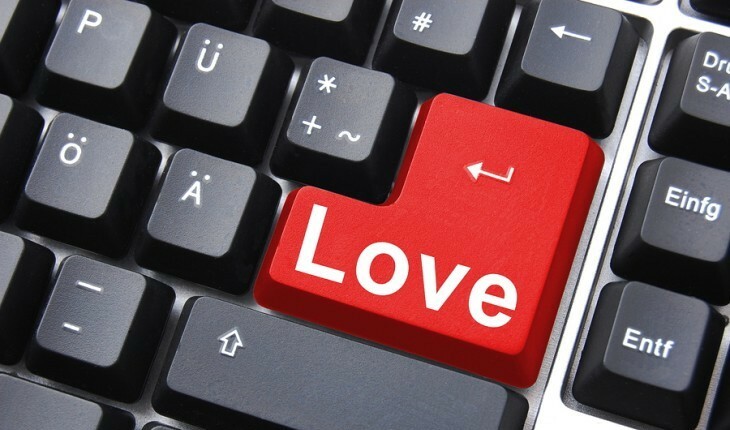 Have you used online dating sites? What tips and tricks do you have? Share in the comments section below!